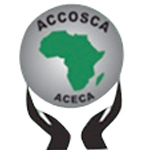 African Confederation of Cooperative Savings and Credit Associations (ACCOSCA): A non-government, non-political and Pan-African confederation of national associations for the savings and credit cooperative movement. It was formed to promote cooperative movements in Africa. It has currently developed programmes aimed at improving social-economic needs of Africa through savings and credit unions, partnering with various government bodies, development agencies and research institutions in an effort to contribute towards mitigating the challenges facing Africa. 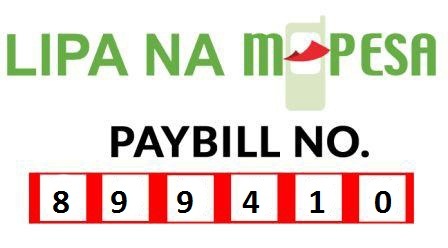 The Co-operative Bank of Kenya Limited is incorporated in Kenya under the Company Act and is also licensed to do the business of banking under the Banking Act. The Bank was initially registered under the Co-operative Societies Act at the point of founding in 1965. This status was retained up to and until June 27th 2008 when the Bank's Special General Meeting resolved to incorporate under the Companies Act with a view to complying with the requirements for listing on the Nairobi Securities Exchange (NSE). The Bank went public and was listed on December 22nd 2008. Shares previously held by the 3,805 Co-operatives Societies and unions were ring-fenced under CoopHoldings Co-operative Society Limited which became the strategic investor in the Bank with a 64.56% stake. KUSCCO has attained the highly coveted ISO 9001:2008 certification. The award represents KUSCCO’s commitment to the continuous improvement of service efficiency and effectiveness, customer satisfaction and superior performance in all business operations. This will also enable KUSCCO to compete effectively and to broaden its market outreach in the broader financial market. The Sacco Societies Regulatory Authority (SASRA) is a statutory state corporation established under the Sacco Societies Act (Cap 490B) of the Laws of Kenya (the Act) which came into full operation upon the gazettement of the Sacco Societies (Deposit-taking Sacco Business) Regulations, 2010 (the Regulations 2010) on 18th June 2010.The principal mandate of the Authority under the Act as read with the aforesaid Regulations, 2010 has been to license Sacco Societies to undertake deposit-taking Sacco business in Kenya (popularly known as Front Office Service Activity or FOSA), and to supervise and regulate such Sacco Societies in Kenya among other things. Swisscontact is the business-oriented independent foundation for international development cooperation. Represented in 33 countries with over 1100 employees, it promotes – since 1959 – economic, social and environmental development. It has partnered with us in capacity building activities such as board members, staff and Sacco members training..
World Council of Credit Unions (WOCCU): The global trade association and development agency for credit unions. 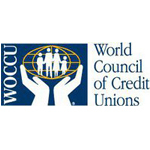 WOCCU international development programmes assist credit unions and their associations with rebuilding efforts, providing access to the underserved, developing integrated business networks, supporting communities at risk, and encouraging legislative reform and regulatory system development.